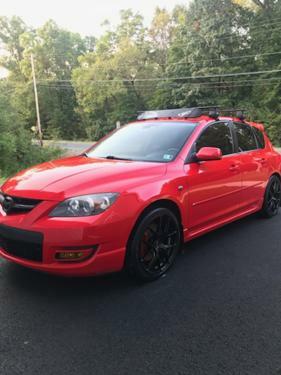 For Sale: 2007 Mazdaspeed 3 Turbo, 6 speed manual with 131K miles on body. New block was installed by certified technician at 113,900 miles. I have receipts and all warranty information for new block. Car is in very good condition and runs great. All aftermarket parts are bolt-on. Car has always been very well taken care of and is in excellent condition. Regular maintenance always performed on time (oil, brakes, etc.) Car has been garage kept since owned and not driven in winter. Car needs nothing, very clean. Title in hand. Serious buyers only, No trades. Call or txt (814) 599-8597 with any questions. Thanks.